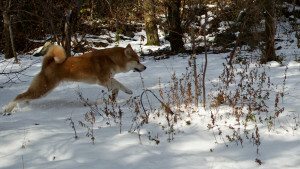 Adventures about my dog Aimi, a red Akita Inu. Photos and videos. Roger Caras, a renowned wildlife photographer and writer, once said “Dogs are not our whole life, but they make our lives whole.” The statement rings true to anyone that has ever owned a dog, which is why dog lovers enjoy spending time with their pets. For most of the year, it is easy to go outdoors and enjoy activities with your dog because the weather is nice and there are generally more things to do when it is warm outdoors…. Follow this link http://pipisaris.com/news/basics-puppy-socialization/ for the The Basics of Puppy Socialization Article.